Boko is a chocobo spirit, a hero amongst the yellow-feathered steeds that inhabit the plains of the world. Boko is known to be sympathetic to mortal tribes, to take in those that need assistance, and to help them get on their feet. He also has an unrivaled sense of wanderlust and adventure. Recommended Characters: Boko functions well with characters who value luck and speed, but also those that may work as support units. Thieves will benefit from the enhanced speed and luck (and will be easily capable of driving up the Crisis Level), while White Mages will benefit from many of the healing action-abilities. Of course, these abilities can also help balance characters with none of those abilities, making them better-rounded. A character who has Boko equipped gains Crisis from fleeing, and, when summoned, Boko delivers a painful kick to the enemy. Occasionally, those who summon Boko find that an immense, fat chocobo appears instead, dropping from the sky onto their foes. And sometimes, they find that the chocobo picks them up and escapes from combat — even if they didn't want to. A character equipped with Boko gains 1 Crisis Level whenever they flee from combat. Physical Roll 1d20. On a roll of 1 or 2, the party flees combat. On a roll of 3-18, deal FIVE TIMES WEAPON POWER physical damage to one enemy. On a roll of 19 or 20, deal TWO TIMES WEAPON POWER damage to all enemies. Trait Take half damage from Wind. When summoned, Boko can perform these actions, in addition to basic actions. Characters equipped with Boko gain these abilities, too. Remember that the summoners need to be at least the listed level to use the ability. Technique 1 A The party automatically flees combat. This counts as a failure, but it is automatic. Boko heals himself, or allows his summoner to heal others. 10 MP Heals SPELL POWER HP. Boko hurls a ball of flame at the enemy. 10 MP Deals SPELL POWER fire damage. Boko steels himself, or an ally of his summoner, against harm. Evoking the white chocobo, Boko recovers magic power. Boko blasts an enemy with a brutal ball of fire. 20 MP Deals SPELL POWER fire damage, and ignores Willpower. Boko ensures that he remains alive. 20 MP Bestows Protect and Shell. Boko removes ailments from himself. 30 MP Removes all ailments. Boko, using the power of the Red Chocobo, summons a great meteor. 30 MP Deals TRIPLE SPELL POWER non-elemental damage to one enemy. 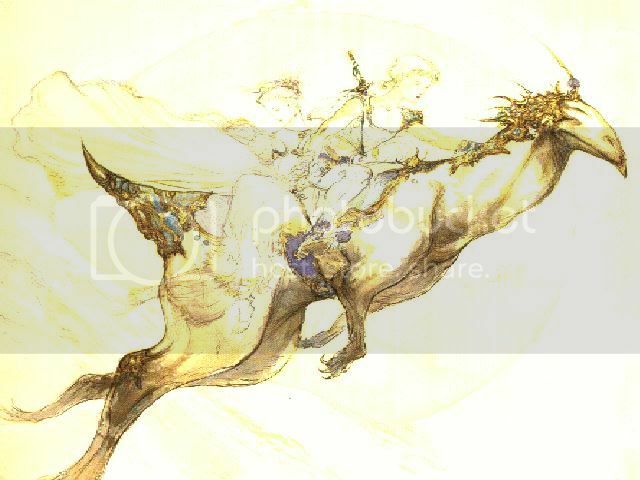 Boko is suddenly mounted by a moogle (or the summoner), and they charge into the nearest foe. Tech 4 A Deals TRIPLE SPELL POWER wind damage to one enemy, and inflicts Stop.